Research has shown that art, in particular nature scenes, can have a vital and often underrated contribution to aiding both mental and physical rehabilitation of patients suffering from many differing conditions, and can actively reduce recovery times and pain medication requirements. Being surrounded by nature triggers a positive emotional association process in the brain, which can have a profoundly beneficial effect on our state of rest and anxiety levels. In 1984, at Uppsala University Hospital in Sweden, Dr. Roger Ulrich and his colleagues completed ground-breaking research, which found patients with a window were less anxious and required less pain medication than those without. As little as three to five minutes looking at nature scenes dominated with greenery or water can promote a sense of calm. This lowers blood pressure and muscle tension, causing changes to the heart and brain's electrical activity. We need this calm even more when the body is recovering from trauma. Yet how can hospitals with no outdoor space provide these benefits? Especially to patients who are unable to leave the ward? Luckily research has now shown that even just exposure to photographic images of nature we can reap these positive benefits, reduce stress levels and aid the healing process. Claire Tee, an ITU staff nurse from the William Harvey Hospital, told us of a time she noticed the difference in one patient after a KwickScreen with a landscape inner panel was installed, “I had a patient who was distressed one night and had just come off the ventilator. I pulled the screen out in front of him and it really brightened his mood. I saw him smile for the first time”. Bringing art into the hospital environment allows spaces to become personal, rather than institutional. Incorporating this into the design of healthcare environments can facilitate less pain medication requirements, reduce patient length of stay, and provide greater overall positive benefits. More and more new builds and renovations are taking this into consideration. Have a look at the KwickScreen Artwork Catalogue for some inspiration, it includes many types of landscapes, as well as other designs, chosen specifically for these purposes. 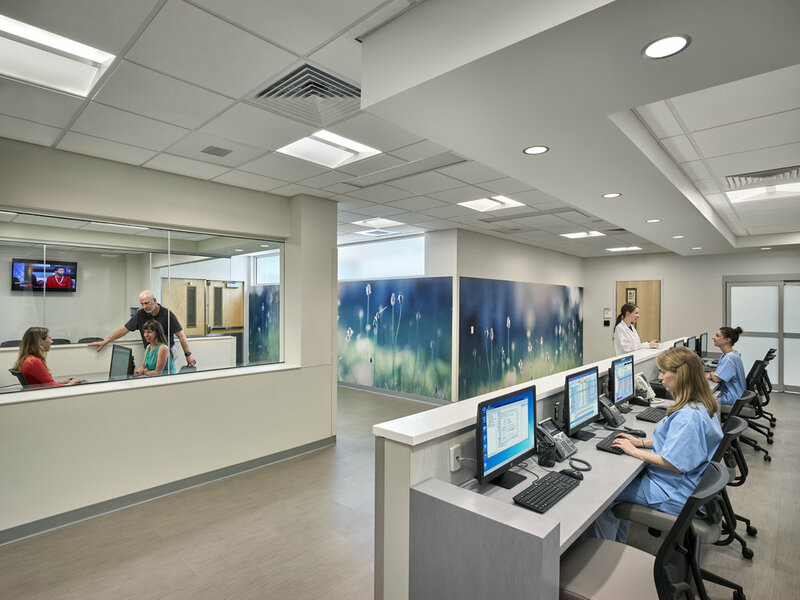 With the high demands placed on healthcare environments seen today, taking a comprehensive approach to healing spaces has never been more important for both patients and staff alike. If you want to discuss any artwork requirements for your healthcare environment, get in touch today and see how we could help you create your space.